Bobby Fitch, 34, is a father and successful entrepreneur. Since 2010, he’s owned Absolute Race Technology, a motorcycle repair and suspension company in Southwest Denver. 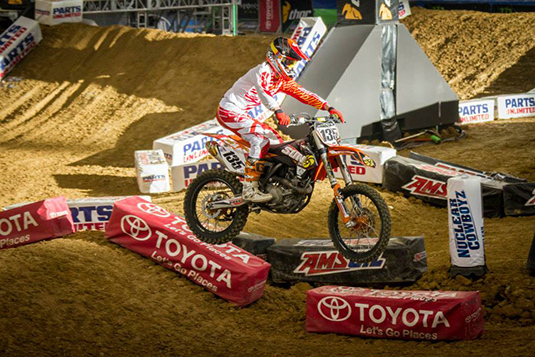 Denver, Colorado – Armstrong Steel is excited to announce it has extended sponsorship to Colorado Supercross rider, Bobby Fitch. As a state champion and earning numerous indoor and outdoor titles in pro racing, Fitch is one of the most widely known veterans of the American Motorcyclists Association (AMA) Supercross circuit. Fitch has been among the professional ranks since he was 13 years old. Fitch, 34, is a father and successful entrepreneur. Since 2010, he’s owned Absolute Race Technology, a motorcycle repair and suspension company in Southwest Denver. Fitch plans on racing each event of the AMA Supercross schedule, which culminates on May 2nd at Sam Boyd Stadium in Las Vegas. 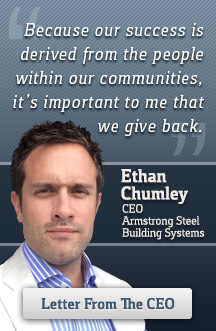 Follow Fitch’s progress on Armstrong Steel’s Facebook page each Monday as he works his way through the series.